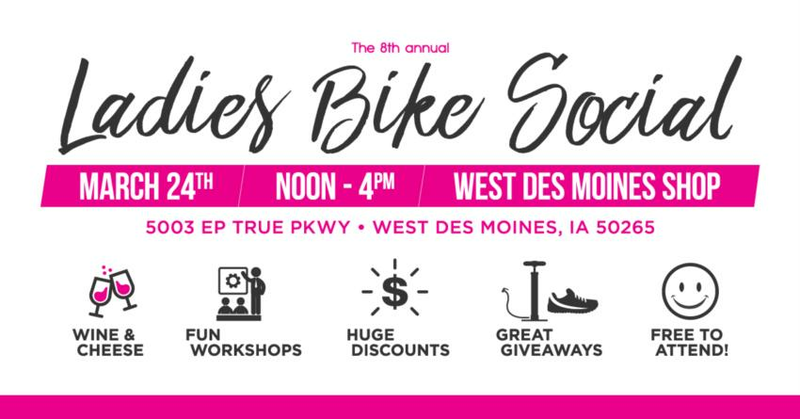 Join us at the 8th annual Ladies Bike Social at our West Des Moines shop (5003 EP True Pkwy | The old Dahls building)! Fun presentations, great giveaways, complimentary refreshments, and more! Free to attend! Registration not required, though recommended via the facebook event.